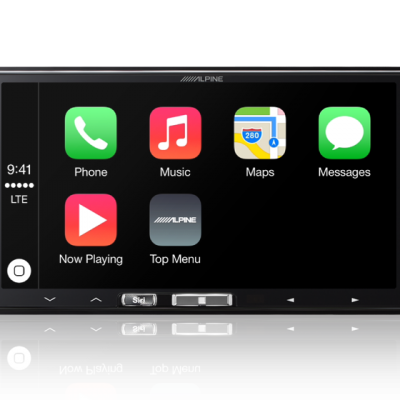 Bluetooth, iPod and USB playback and ready for steering wheel controls and reverse camera on a 6.1″ touch screen. 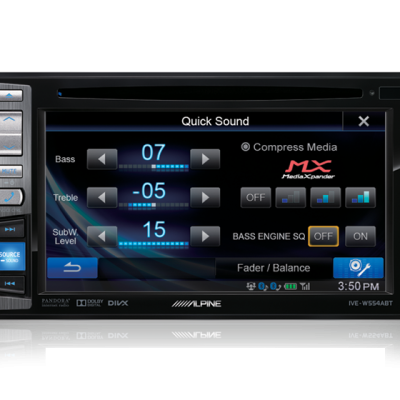 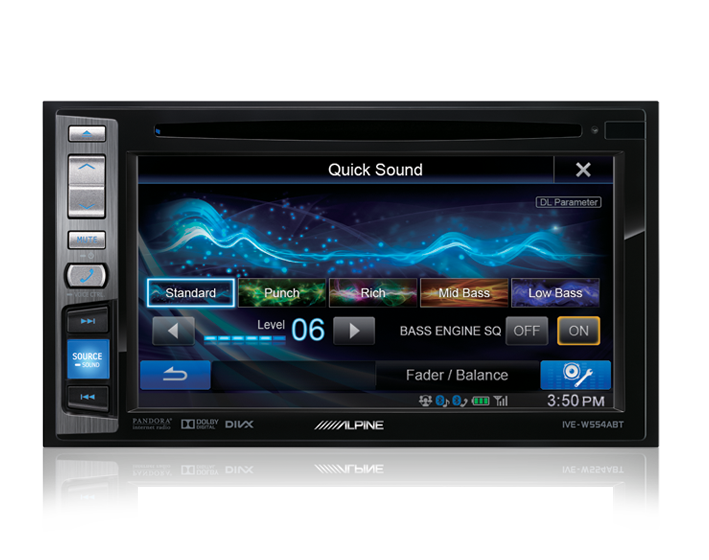 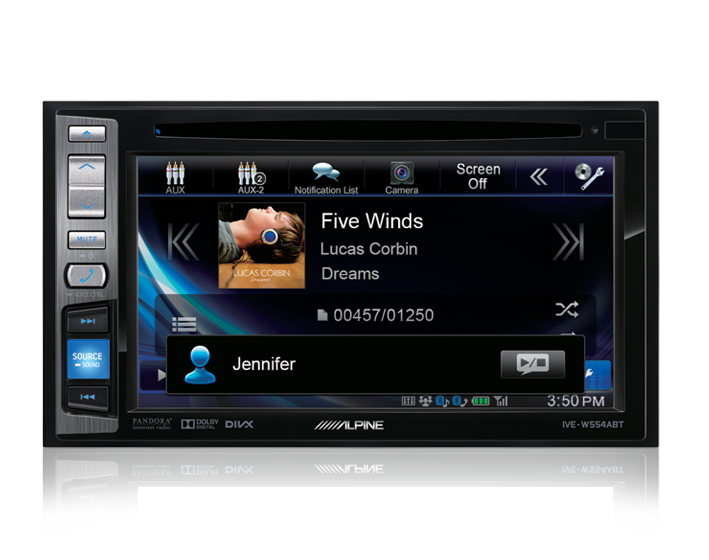 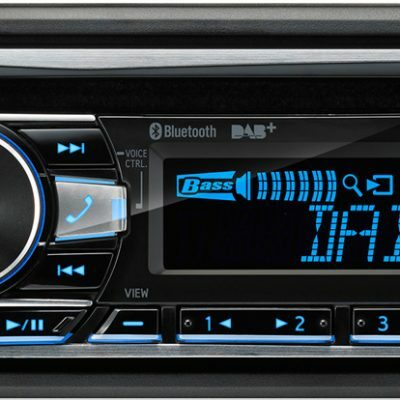 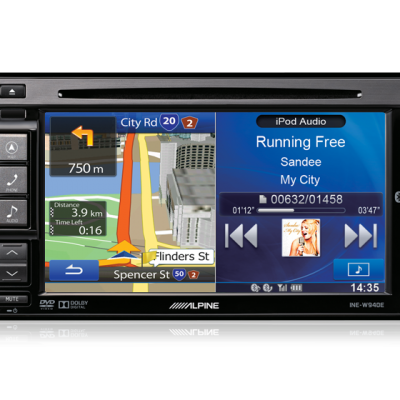 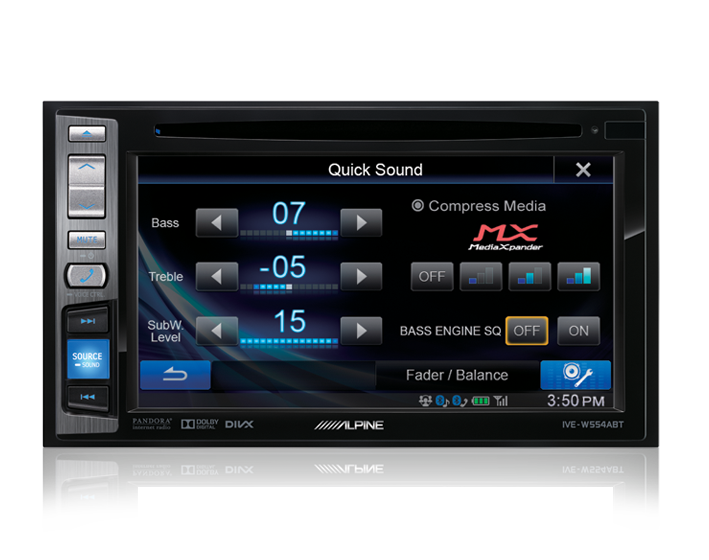 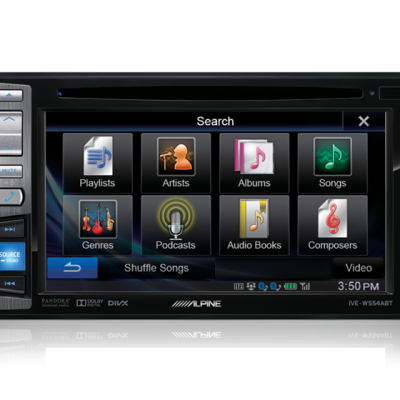 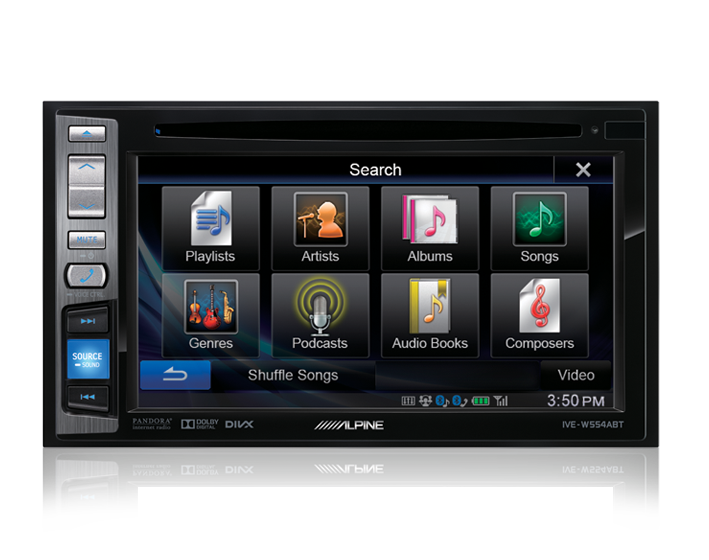 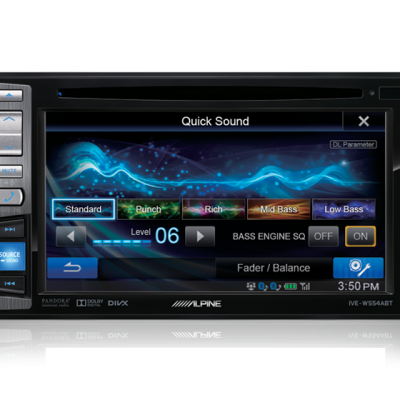 The IVE-W554ABT Mobile Media Station provides a multitude of media playback options, including DVD, CD, iPod and iPhone USB music and video DVD/CD playback, and it’s ready to connect Pandora internet radio for limitless music content. 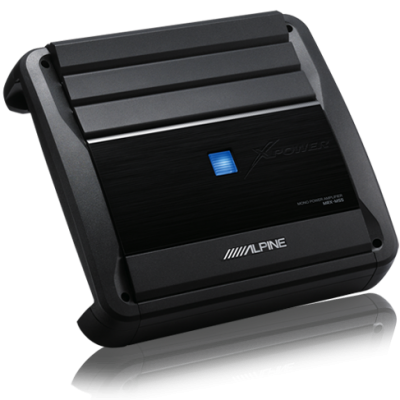 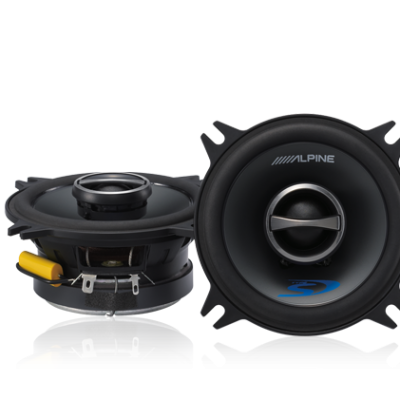 For optimum sound tuning options, Bass Engine SQ technology is built-in allowing quick advanced bass level adjustment, and the Alpine TuneIt TTS App for iOS or Android provides a full set of sound tuning options performed right from the smartphone. 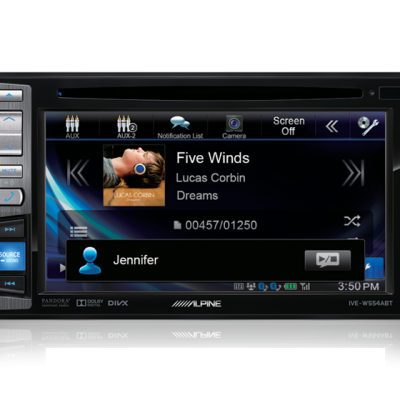 The built-in Bluetooth Plus provides audio streaming and full hands-free operation with access to phonebook and advanced functions.